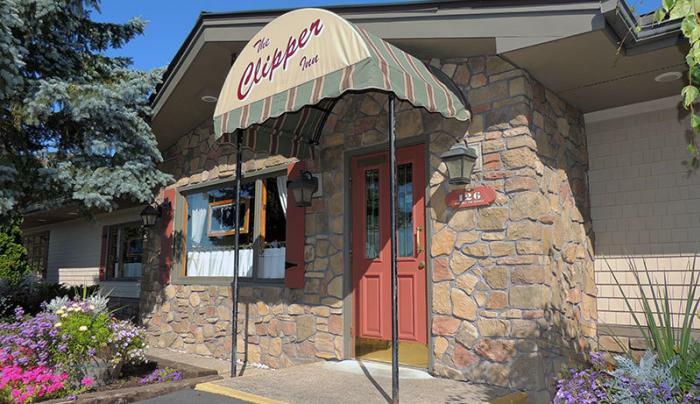 Located just inside the Village of Clayton, across from the Clayton Country Club Golf Course, The Clipper Inn rooms are constantly being upgraded. Each room has heat and AC, flat screen TV with cable, free wi-fi, fridge, microwave, bathroom heat lights, hairdryer and in-room coffee. Room configurations include one queen, two double beds, or one queen and one single. All rooms are non-smoking. We have one handicap accessible room and we are pet friendly. 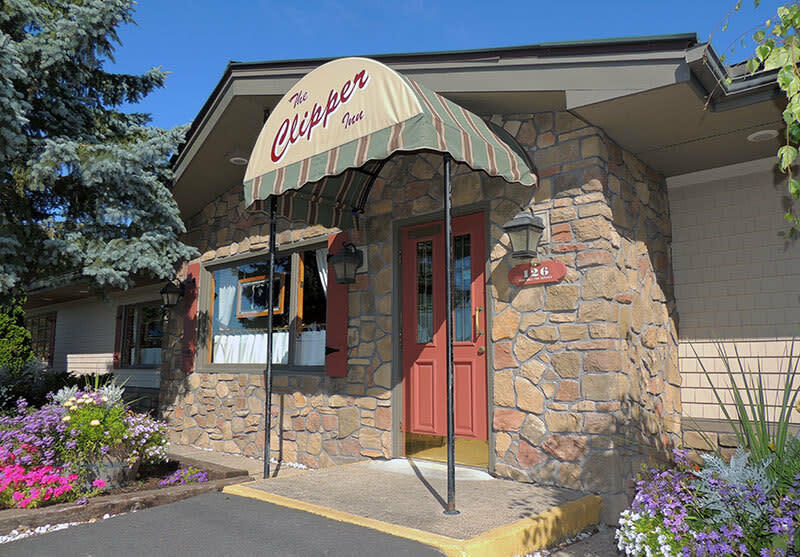 The adjacent Clipper Inn Restaurant is a destination not to miss while in the Thousand Islands area. The restaurant has an airy, comfortable, and slightly nautical interior. The menu is large and varied, with an accent on fresh seafood. There are Mediterranean, Asian, and some vegetarian influences. The emphasis is on high quality and consistency here. Restaurant is handicapped accessible.